We know first hand how a holiday can be ruined because we couldn’t get anything to eat, or because what had been served was a token gesture (or worse still, made us ill). At Stonecroft, our guests are loved, are special to us, and we aim to make them feel safe in the knowledge that we do everything in our power to avoid the allergens that might cause upset or a reaction. We specialise in catering for those suffering from Coeliac Disease and other issues requiring a gluten free diet. We also cater for vegetarians, vegans and other allergies and lifestyle diets. 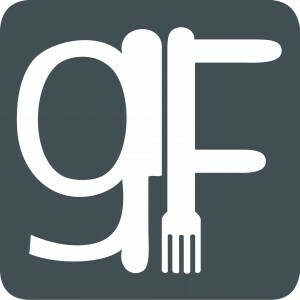 We operate a gluten free kitchen … now, forget all you have heard about gluten free food… we arent talking about the horrible junk food you will see in the supermarket (full of fats, sugars and tastes horrible). We provide top quality gourmet food, which is organic wherever possible, locally sourced, prepared by us from scratch, and without any of the bulking agents so often used today to keep costs down and profits up! The flavour of our food is from nature, not a laboratory. We have been awarded gluten free accreditation from Coeliac Uk in both 2016 and 2017. Although we have not applied for accreditation yet in 2018, we still comply with all the regulations required. We design our menus from the bottom up: rather than designing a dish then removing allergens, we start with an allergen free dish and add items to suit our guests requirements. This means just about every item on our menu can be adapted for most diets / allergies by either omitting or substituting ingredients. We do have gluten free oats on the premises – although oats do not contain gluten, when they are milled there is often contamination in the air which means they are not suitable for gluten sensitive / coeliac guests. Our oats are certified gluten free in that they are processed in an uncontaminated area. Oats do however contain a protein called avenin, and some people have IgG or IgE antibodies which means they still react to oat proteins… For those guests, we can substitute rice and quinoa flakes instead. Our sourdough bread is made using a brown rice sourdough, and includes a number of other natural flours (no flour mixes out of a packet for us), and our Organic seeded artisan bread is made by a friend in her gluten free bakery. Our butcher rears his own pigs on his smallholding and he makes our delicious gluten free sausages each week.. whether they are pork or Lincolnshire style depends on how he feels on the day. All our ingredients are naturally gluten free and organic wherever possible, you won’t find a packet mix anywhere at Stonecroft. We have separate storage areas and use separate utensils / tins / boards etc for those with food allergies. Every dish is prepared and cooked separately and to order. No two dishes share the same tins etc. For allergy guests, we use separate ovens / grills etc. We do have nuts on the premises but they are sealed and stored separately to normal ingredients. We have a selection of different dairy free milks and dairy free spread, but if you have a preference please let us know in advance so we can ensure that we have your favourite brand in stock. We have some experience of Low Oxalate and FODMAP diets also… but each of these diets is individual to the person, so if you are following any of these please contact us directly to discuss your requirements. Just remember…. TELL US, ASK US and we will get to work…..
As a final note… and probably the most reassuring after reading all the above… Your host / chef is a long diagnosed coeliac and has been a lactose intolerant vegetarian for many years… She is now vegan since discovering a severe intolerance to eggs… in other words… We DO understand quite a bit about food allergies and intolerance… and we arent just saying it!